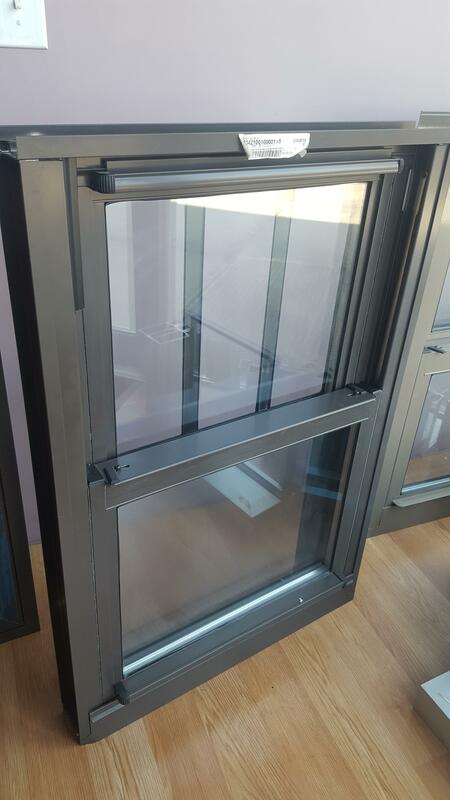 This Crystal® ThermoBlok™ aluminum tilt window features a high performance, a patented anti-bow pin design that prevents sash bowing in multi-story structures, heavy duty frame structure, an innovative polyurethane thermal barrier technology that thermally breaks conductivity of the aluminum frame to substantially reduce thermal transfer from exterior of window to interiors, and "intercept" warm edge glass spacer technology. These integrated features reduce heating and cooling loads on HVAC systems, providing long term energy efficiency and utility savings to property owners. This series is ideal for multi-story commercial projects where high strength structural integrity of the window frames is essential. The easy-to-clean, tilt out sashes and patented anti-bowing technology make it a popular choice with developers. Insulated Glass Unit Depth = 1"~ for greater insulation & sound reduction. Heavy-Duty Construction ~ sill frame is .093" thick. Custodial Lock Tilt Latches ~ prevents unauthorized operation of the sash tilt feature. Panning and Interior Trim ~ a full line of accessories are available.